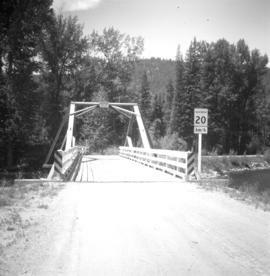 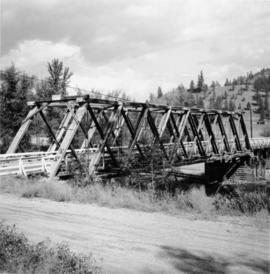 Photograph depicts a bridge over Kettle River. 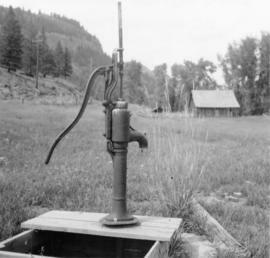 Photograph depicts a derelict pump in the middle of a pasture field adjacent to Kettle River. 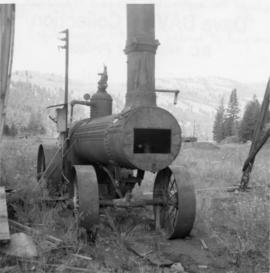 Made by "Jas Smart Mfr. 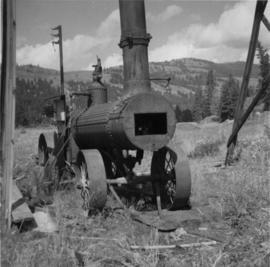 Co. Ltd., Brockville, Ontario." 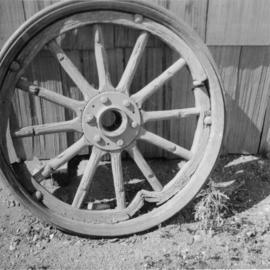 Photograph depicts an early motor car/truck wheel found beside a private garage. 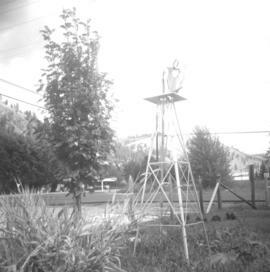 Photograph depictsa small windmill in the yard of a home.